Everybody wants to live a life with financial freedom. A lack of money is one of the most stressful situations that anybody can encounter. Moreover, improving your status will help build a better future for your loved ones too. But it isn’t always easy. The key to gaining a better financial standing is to take responsibility. Money isn’t the most important thing in this life. However, the sooner you respect its significance, the sooner you’ll start to work your way towards a brighter future. Even those living a relatively comfortable life can appreciate the benefits of making these upgrades. Here’s everything you need to know. Most people will need to borrow money at some stage in their life, even if it’s only to buy a house or car. There’s nothing wrong with this. Nevertheless, owing money on credit cards and loans is limiting your options. Escaping debt should be job number one. There are many options that you could take en route to clearing those accounts. In many cases, a consolidation loan will save money in the long run as you can escape the interest charges on multiple accounts. Besides, it’s far easier to stay on top of one repayment plan rather than trying to juggle several. Gaining financial freedom isn’t just about being comfortable now. You’ve also got to make preparations for later life. 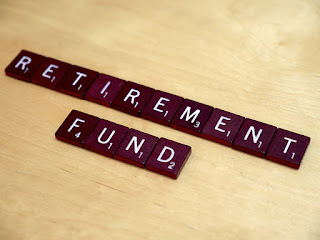 Retirement can be a very difficult time if you haven’t taken responsibility. Now is the time to start making those plans. Most people follow a fairly similar pathway. This financial life stage milestones video will provide more information and show you how to stay on track. Failure to prepare is preparation to fail. Quite frankly, your financial situation is not something that can be overlooked. If nothing else, knowing that you’re investing in your future will remove a huge weight from your shoulders. We’re all guilty of overspending in certain areas of life. While a little treat is healthy, tightening those purse strings will inevitably give your bank balance a boost. The best cuts are those that won’t impact your life. Using coupons to reduce your weekly shopping bills is a great option. Meanwhile, most households are guilty of overspending on TV and cell phone packages. Trim the fat wherever possible, and you’ll be amazed at the difference it makes. Even if you use those savings to book a holiday, it has to be a far more effective way of spending. Unfortunately, many people find that their income isn’t quite enough to provide the life that they want to live. Therefore, it’s imperative that you make those savings work harder. Growing the nest egg is vital. If you are leaving money in the bank, you need to find the best interest rate possible. However, many people find that their savings can grow at a much faster rate with smart investment. Whether it’s Forex trading or real estate, those schemes can make a world of difference. There’s no better way of taking control than earning more money. Find an opportunity suited to your needs, and you’ll soon reap the rewards.